Roof Dimension: 1730mm x 730mm. 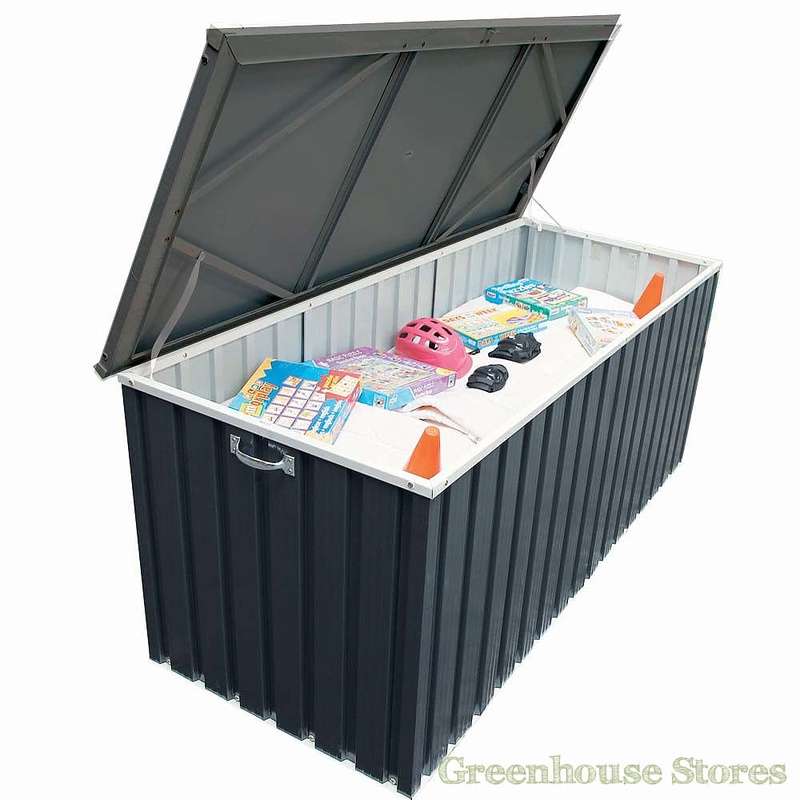 6ft x 2ft Green Metal Storage Box - Solid build quality. Thick Galvanized Steel Framework - Rigid frame for strength. 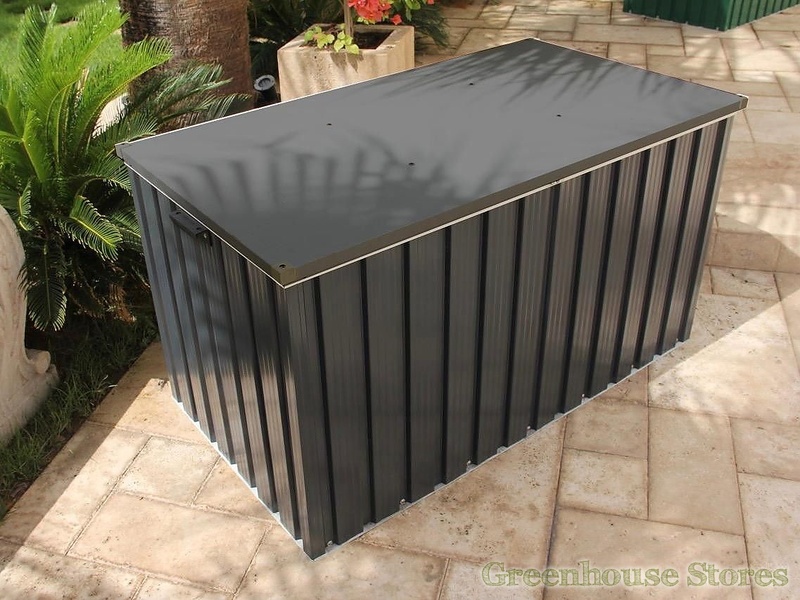 Deep Green Steel Cladding - Weather resistant, Rot and Rodent proof. Grey Opening Lid with Latch - Large opening for easy access inside. Side Carry Handles - Easily transported around. Full Assembly Instructions - Supplied with package. 8 Year Warranty - Manufacturers non-perforation warranty. 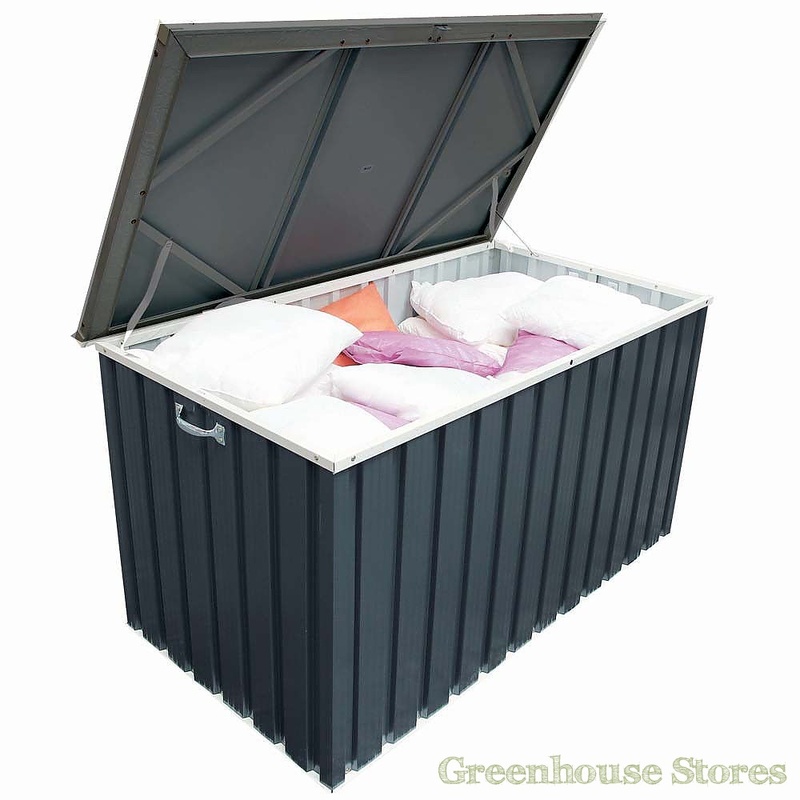 The Emerald 6x2 Anthracite Grey Metal Storage Box is designed to house your garden furniture cushions but it’s just as useful for storing away other garden or DIY stuff like tools and kids play equipment. 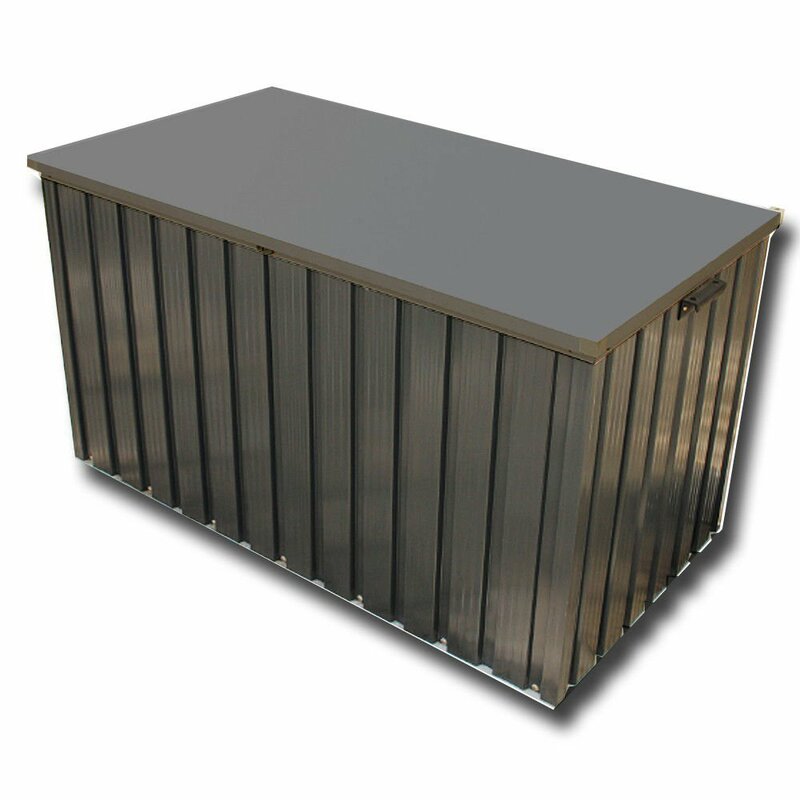 The Emerald 6x2 Storage Box is powder coated in an Anthracite Grey colour that blends nicely into your garden and has a nice white lid which can be comfortably used as a bench for 2 adults. You can lock the Grey Metal Storage Box with a padlock and there are 2 carrying handles on the side of the box to easily move it around. Emerald cushion storage boxes are extremely easy to assemble and can be erected very quickly if you follow the instructions provided. As with all Emerald products, there is an 8 Year Warranty against perforation rot on the Emerald 6x2 Anthracite Grey Metal Storage Box. Product delivered in kit form for self assembly. Full Emerald instructions provided. Full base preparation details will be forwarded to you even before your new Emerald Storage Box is delivered.